They reigned over the earth for more than 100 million years and suddenly, mysteriously disappeared. What caused the demise of this ubiquitous group of reptiles which included some of the largest animals to ever walk the planet? One of the great mysteries in science is the extinction of the dinosaurs at the end of the Mesozoic era some 65 million years ago. Who (or more likely what) caused it is unknown and a subject of great debate. Dinosaurs appeared at the beginning of the Mesozoic era and were the dominant form of life for the next 140 million years. They lived almost everywhere there was land including Antarctica. We can see their bones in the geological record laid down over time. The lower stratum of rock contains the earliest and most primitive species of dinosaur, and the upper stratum contains the newer species. Then, suddenly, at a geological strata line called the Cretaceous-Tertiary boundary (often referred to as the K-T Boundary), the dinosaurs disappear. In fact, not only do the dinosaurs disappear, many other species do too. In the sea, the great marine reptiles, like the plesiosaur, the mososaurs and the ichthyosaur vanished. Nearly half of all invertebrate ocean organisms, (including ammonite cephalopods which had been around for 325 million years) were gone. In the sky, the great flying reptiles also disappeared. Scientists believe that climatic changes might be responsible for most of these extinctions. There is evidence that shows the temperature dropped at the end of the Mesozoic and the sea levels fell. Such a sudden change in temperature might have affected the growth of plants which were at the root of the dinosaur's food chain. -Cosmic radiation from a nearby exploding supernova star killed them. -Acid rain from volcano activity was responsible. -Continental drift altered the climate. -Small mammals appeared that fed on dinosaur eggs. 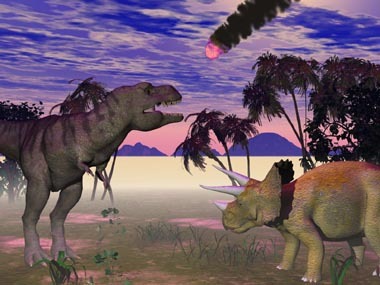 One of the most well-known and intriguing theories suggested for dinosaur extinction is the asteroid theory. In the 1980's the father-son team of Luis and Walter Alvarez discovered a layer of iridium in the K-T boundary. 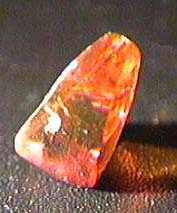 Iridium is rare on earth, but abundant in meteorites. 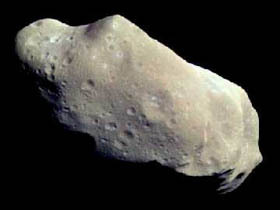 The Alvarezs' suggested that a huge asteroid or comet, perhaps miles in diameter, hit the Earth at that time. 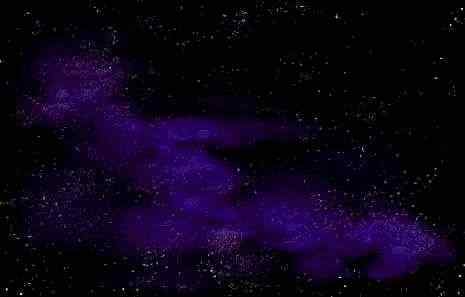 The result of such an impact would be an enormous explosion that would throw dust clouds into the sky, darkening the planet. Massive forest fires, triggered by the hit, would add smoke to the sky. This would cool the planet causing the climatic changes observed. A crater, now worn down and partly under the ocean, was found along the Mexican Yucatan Peninsula and its creation coincides nicely with the K-T boundary. NASA scientists estimate that the asteroid that made Chicxulub Crater, as it is now known, would have been about 6 to 12 miles in diameter. The crater is about 130 miles across. Scientists at the Southwest Research Institute in Boulder, Colorado, have even been able to trace the path of that asteroid back into space. According to their calculations 160 million years ago a collision between a 100-mile-wide asteroid, named Baptistina, and a smaller unnamed asteroid out beyond the orbit of Mars, shattered the larger object and sent pieces of it into the inner solar system. Ninty-five million years after that these pieces encountered earth, ending the dinosaurs' reign. Not all scientists are satisfied with the asteroid theory, however. They point out the fossil record shows the dinosaurs were already in decline before the K-T boundary and the asteroid might just have been the final blow that finished off a population already weakened by some other factor. In Montana, at a dig supervised by celebrated paleontologist Jack Horner, Nan Crystal Arens from Hobart and Smith Colleges carefully examined the fossil leaves and pollen from a slice of the Hell Creek formation at many different levels. The Hell Creek formation is set just above the K-T boundary and represents the millions of years just before the extinction of the dinosaurs. Dr. Arens found that the number of different species of plants, especially flowering plants, declined significantly as one got closer to the boundary. Perhaps 90% of all the flowering plants had already died before the asteroid struck. Since these represented a large portion of the herbivore dinosaur's food supply, and herbivore dinosaurs were in turn food for the carnivores, this might have caused a sharp decline in dinosaur populations even before the disaster. Some scientists suspect that volcanic activity may have caused the dinosaurs' demise. In the several million years preceding the extinction event, volcanoes in what is now India were extremely active. While the span of the eruptions originally seemed too long to explain such a rapid extinction event, recent tests have shown the largest of the eruptions associated with the massive Deccan Traps lava beds in India; coincide with the K-T Boundary. During this period as much as two-thirds of the lava beds were created, covering nearly a million square kilometers (about half the size of modern India). According to volcanologist Vincent Courtillot, these eruptions might have released 10 times more climate-altering gases and materials into the air than the meteor impact in the Yucatan. These would have included dust and sulphuric particles that would have blocked sunlight cooling the planet. Carbon dioxide, a greenhouse gas, was also released by the volcanos and would have heated up the earth once the dust cleared from the skies leading to an enormous temperature swing. By examining insects trapped in amber in ancient times scientists can understand the types of diseases the dinosaurs faced. Other scientists think that some of the smallest animals may have been responsible for bringing an end to some of the largest. George Poinar, a professor of zoology at Oregon State University, believes that during the late cretaceous the number of insects and the number of insect species rapidly expanded. Many of these species were biting insects that carried new diseases. Poinar and his wife have examined many of these bugs from that era that have been preserved in amber and found evidence that they carried forms of leishmania and malaria that could infect reptiles. They also examined fossilized dinosaur dung finding nematodes, trematodes and protozoa that might have given the animals dysentery. The dinosaurs probably got these intestinal parasites from insects that had been visiting dung piles and then transferred them on to the dinosaurs food. Poinar argues that the high temperatures and the recent evolution of flowering plants would have made the late cretaceous perfect conditions for an explosion in the number of insects and the illnesses they carried. The dinosaurs, which would have had little resistance to these new diseases, would have declined in population. It may be that the dinosaurs were not just the victim of a single event, but a string of bad luck. Professor Arens has carefully looked at this idea and has attempted to measure the extinction rate of species during periods when there were major asteroid impacts, periods of massive volcanic eruptions and periods when neither were happening. Surprisingly, the rate of extinction for each type of period is about the same. What she discovered, however, is that during periods when both massive volcanic eruptions and impacts were taking place at the same time extinction rate climbs. This suggests that no single disaster event might cause mass extinctions, but a combination of two or more are needed for it to happen, hitting life on earth with a "double whammy." The fossil record shows that the mass extinction that killed the dinosaurs wasn't the only one that has occurred in our planet's history. The earth has suffered a number of such traumatic events over its life. In fact the K-T extinction wasn't even the largest. The Permian-Triassic (P-Tr) extinction event, sometimes referred to as the Great Dying, occurred about 250 million years ago and eliminated 90 percent of known species from the planet. As with the K-T extinction, nobody is quite sure what caused this disaster. Did any of the dinosaurs survive the extinction? Scientists have very rarely found bones of dinosaurs buried above the K-T Boundary. A single Hadrosaur leg bone found in the San Juan Basin, New Mexico, might suggest that a small population of these dinosaurs survived as long as a half a million years into the following Paleocene era. However, it is also possible that the fossils in question, which are very few in number, were unearthed by some geologic event, then reburied at a higher level. Occasionally stories still appear about dinosaurs being found still alive today in some remote location of the world (for example, the legend of mok'ele-mbembe in Africa). While there are several famous fictional books like Arthur Conan-Doyle's The Lost World on this subject, there is no hard evidence that any dinosaur, other than the birds, their avian decedents, have survived into modern times. It is likely scientists will continue to puzzle over the death of the dinosaurs for many years to come. Part of the mystery of K-T extinction is why certain species died out while others survived. Mososaurs went extinct while other marine reptiles, like crocodiles, are still around. If climate change is responsible why did the dinosaurs, hearty creatures that lived in all kinds of conditions all over the planet, die when frogs, who are much more sensitive to temperature change, still survive today? The Barringer Meteor Cater in Arizona though impressive, is only about a mile wide. Just a fraction of the 130 mile wide crater left by the asteroid that ended the Mesozoic Era. (Copyright Lee Krystek, 2008). What Bugged The Dinosaurs? Insects, Disease And Death In The Cretaceous, by George, Jr. Poinar and Roberta Poinar , Princeton University Press, 2008. Copyright Lee Krystek 1996-2008. All Rights Reserved.